Joint ventures seek anti-trust immunity to allow airlines to work together on schedules and pricing, and to split up the revenue they earn together on designated routes. Proponents argue that they’re a second-best workaround to limits on foreign ownership of airlines. There’s be no anti-trust issue getting together to decide on schedules and price, for instance, if American Airlines and British Airways were owned by the same company. But since that’s not legal, they seek an exemption to be able to do this on a more limited basis. However joint ventures remove competitors from the field. Foreign ownership could increase competition, these joint ventures reduce competitors, so they’re a second-best by far. Currently in order for the government to approve anti-trust exemptions, airlines must make the case that the deal is going to benefit consumers. There are clear downsides to consumers, and the majority of benefits accrue from codeshares and alliance partnerships (codeshares have their clear downsides as well, because technological challenges often mean codeshares are difficult handling seats and upgrades). During Thursday’s earnings call American’s Executive Vice President of Corporate Affairs (among other things, their lobbying guy) spoke about the airline’s joint ventures and suggested that the current administration’s Department of Transportation is developing a new way of looking at these types of deals. It’ll take until the second half of 2019 to get a joint venture approved with LATAM. 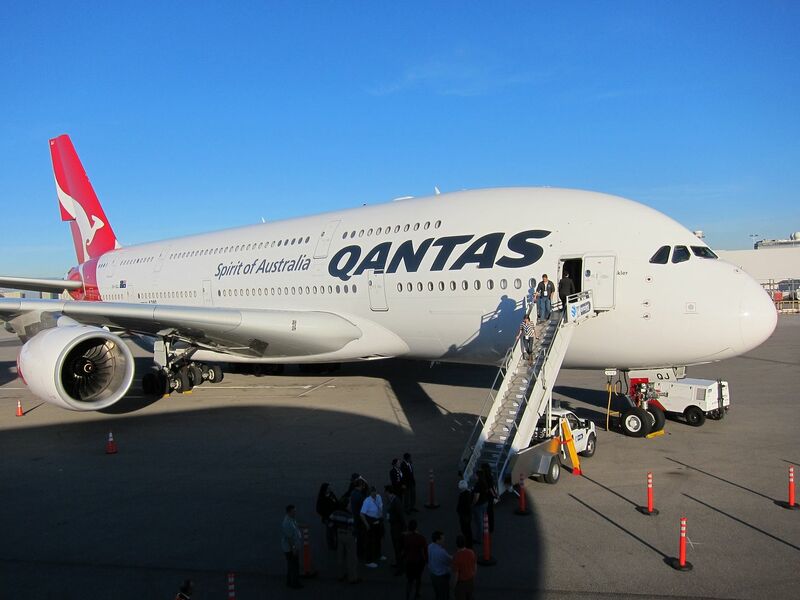 Their joint venture with Qantas was going to be rejected by the Obama Department of Transportation, so they withdrew it. They’ve done a lot more work on their application to give the DOT a fulcrum around which to offer a different conclusion, and the bet has been that the Trump administration would be friendlier to airlines (and less friendly towards anti-trust enforcement) than the prior administration. Johnson reports that the DOT is taking a new “look at the whole concept of antitrust immunity around JVs” presumably one that’s more amenable towards approving them, and completion of that framework has slowed approval. Meanwhile, Aer Lingus is owned by IAG, the parent company of British Airways and Iberia with whom American already has a joint venture across the Atlantic. However DOT is moving slowly there because, in Johnson’s telling, they view Aer Lingus as a low cost and low fare carrier and they believe it’s different than other agreements they’ve signed off on in the past. Finally their deal with South American carrier LATAM is pending Chilean approval, and once that’s complete they intend to submit a newly crafted proposal to DOT based on their experience working with their regulator on recent submissions and the new ethos in the department. Nonsense… when has “collusion” ever benefited consumers? Perhaps Wells Fargo should submit an application to the CFPB for permission to defraud their customers. That way they won’t face the sort of legal troubles they’ve gotten themselves into. Does anyone know how I can submit an application to the IRS for immunity in order to evade taxes? I’m thinking this could take the form of a JV with a swiss bank account. While the government may get less money, this is of obvious benefit to the local economy from the increased spending it would allow. Gary – just in: Hyatt has pulled prive booking in connection with Citi prestige 4th night free benefit. Effective as of yesterday, per Citi prestige concierge. So you can either pick Hyatt Prive, or 4th night Free, but not both. I didn’t hang up and call again – Citi prestige agent seemed very confident that this was just issued. Should have made my reservation last week. Ugh. Called back Citi concierge. The second agent I spoke to got an email this morning about the restriction on using Hyatt prive rate in connection with 4th night free. I wish JVs would be eliminated but sadly we don’t have the political climate for that. Maybe force the airlines to actually compete against each other, so we can see the vaunted free market at work? Joint Ventures benefit the corporation while hosing the customer. Who would have thought? Delta also has a new joint venture with Korean Airlines for flights across the Pacific. That deal seems to herald the end of the Tokyo, Narita hub Delta inherited from Northwest. Delta has been reducing that hub for years. The reductions in traffic have resulted in closing one of the two SkyClubs at NRT. The NRT hub was important for Northwest because of the fifth freedom rights to fly beyond Japan granted to it in the Japan – US air transport agreement of 1952. Delta uses the beautiful new Korean Airlines Terminal 2 at ICN which makes connecting there enjoyable, but it may be hard to restart fifth freedom flight from Japan if that ever becomes desirable. Why not just do joint fares/frequent flier benefits the old fashioned way? Nothing stops them from doing that is there? Then all the code-share nonsense would stop – but most of the benefits would be there for consumers. Co-branding their flights is only an ego thing for both CEO’s as far as I can see.